SkyPixel, the world’s most popular aerial photography community run in cooperation with DJI, today announced the winners of its 2017 Photo Story Contest. The contest, which ran from October to December 2017, received over 44,000 submissions from participants in 141 countries, across the categories of Landscape, Portrait and Story. The Grand Prize was awarded to Florian Ledoux, a photographer from France, who used his Phantom 4 Pro to capture a remarkable moment of a polar bear jumping across ice floes in Nunavut, Canada, in his entry, “Above The Polar Bear”. “There are images that might impress you with their technical mastery, and then there are images that make you feel something,” said Jarrad Seng, a SkyPixel judge, photographer, filmmaker and creative director based in Australia. “This photograph floored me. 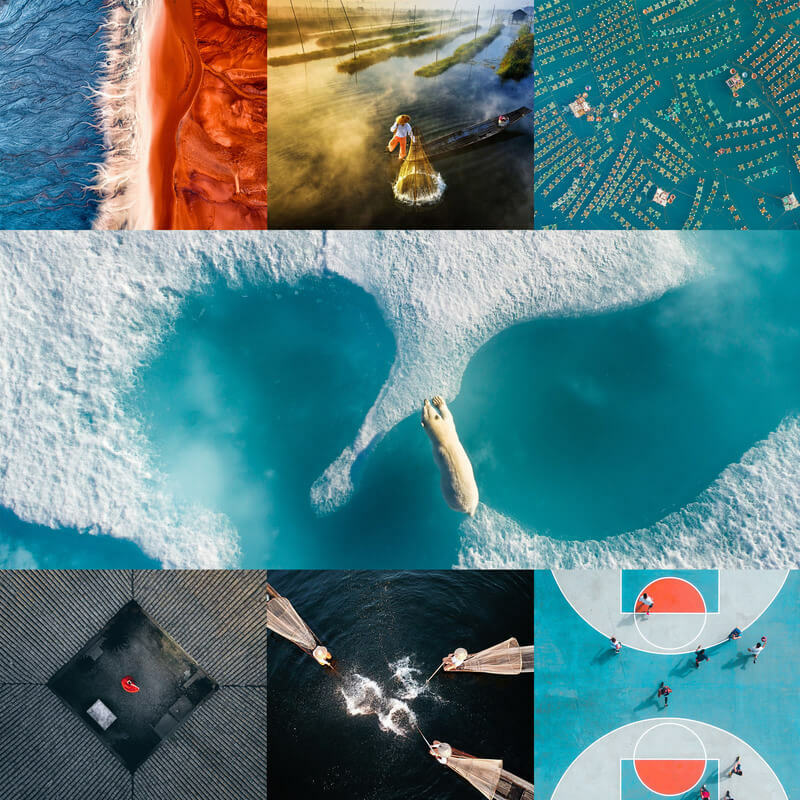 It’s especially poignant given the climate crisis our world is facing right now.” As the Grand Prize winner, Ledoux has won prizes amounting to $15,095 USD, which includes a DJI Inspire 2 in addition to other products from SkyPixel sponsors. In addition to the Grand Prize, each main category also consists of a First, Second and Third Prize from both the professional and enthusiast groups. The winning entries captured a diverse range of perspectives, from profiling a girl dancing in a 190-year old building in Shanghai, to capturing a striking image depicting environmental impact in the world today. To view the top winning entries, please visit www.skypixel.com/events/photocontest2017. The 2017 Photo Contest awarded nine additional entries as “Nominated Entries” as well as highlighted the top ten most liked photos as recipients of the “Popular Prize”. All winning entries were selected by an esteemed panel of judges consisting of professional photographers, filmmakers and creative directors, including Josh Raab, Multimedia Editor at TIME and professor at the International Center of Photography, Pat Kay, award-winning photographer and content creator, and Chris McLennan, international landscape and wildlife photographer.